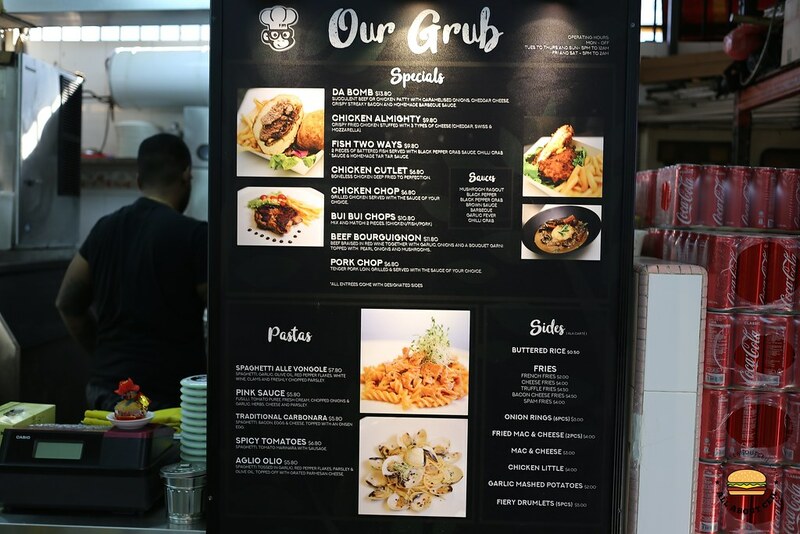 This Western food stall that started in November 2017 is located in the same coffee shop with the famous Punggol Nasi Lemak along Upper Serangoon Road. The stall was closed when I reached at 5 pm though it is stated on their Facebook page that they start at that time. Then, I checked with the Uncle at the drink stall and I asked, "Do you know whether that Western food stall is opening today?" 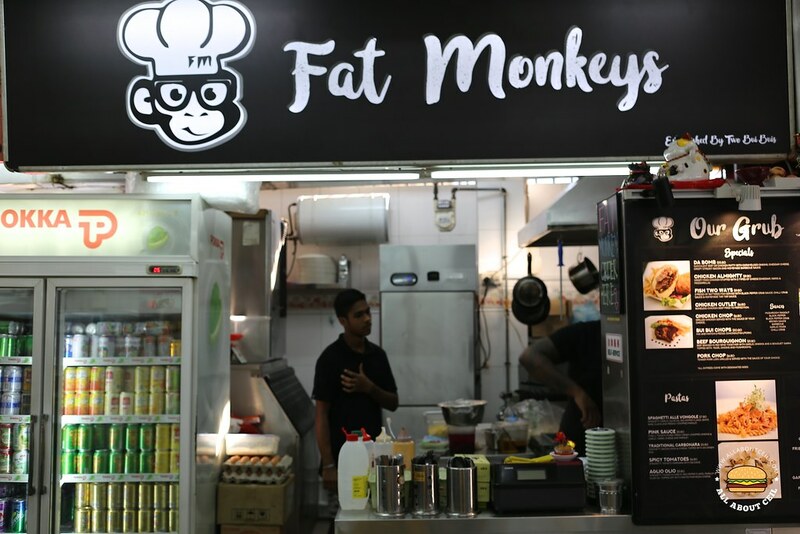 Uncle replied, "Fat Monkeys ah? they usually start at 5.30 pm." If it is so then why they did not update it on their Facebook? I came back at 5.30 pm and they were still not ready. I asked, "Are you opening anytime soon?". The tall chap nodded. I stood in front of the stall and waited for another 5 minutes or so and they were still not ready. I waited for another couple of minutes before the same chap asked me, "What would be your order?" 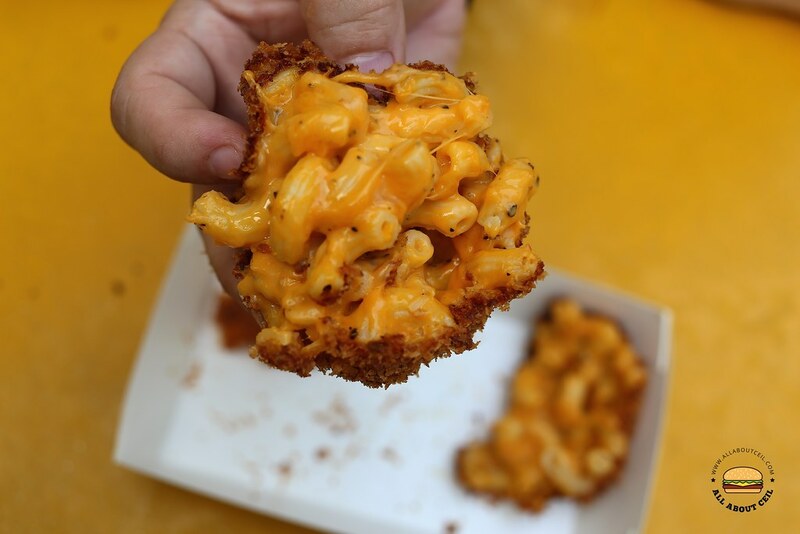 which I replied, "The Da Bomb and Fried Mac & Cheese." He asked, "For the Da Bomb, chicken or beef?" I decided to go with the beef. He said, "You need to wait for at least 20 minutes." I was given a buzzer after paying up and it buzzed in about 15 minutes. The Da Bomb was ready first and I waited for another 5 minutes or so for the Fried Mac & Cheese. 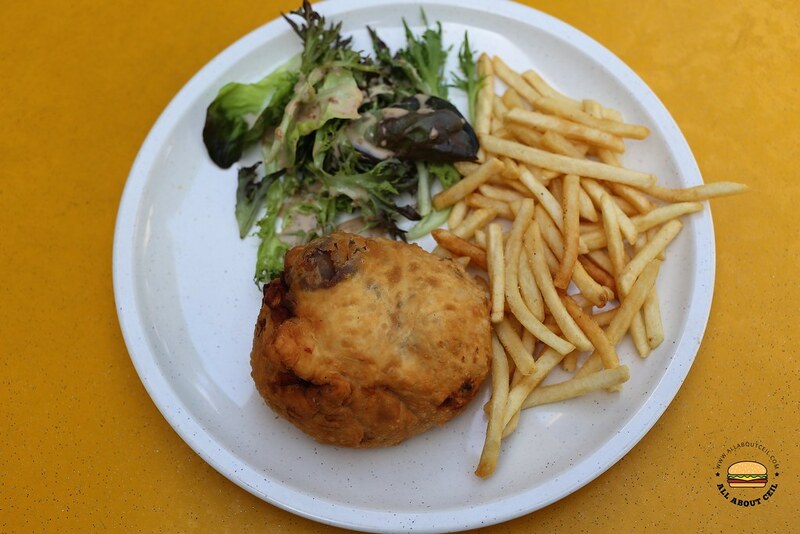 The Da Bomb ($13.90) is a deep-fried burger served with shoe-string fries and salad. 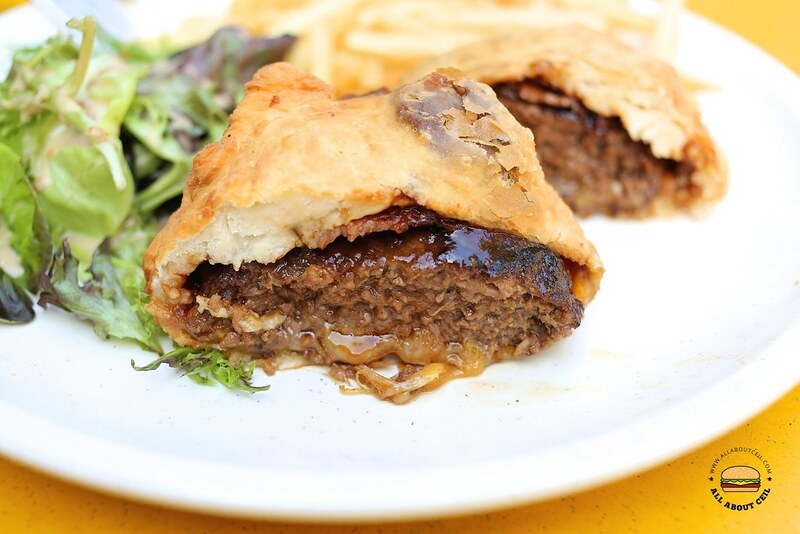 When I read about this deep-fried burger, I was expecting a typical burger, battered then deep-fried but it is not so. 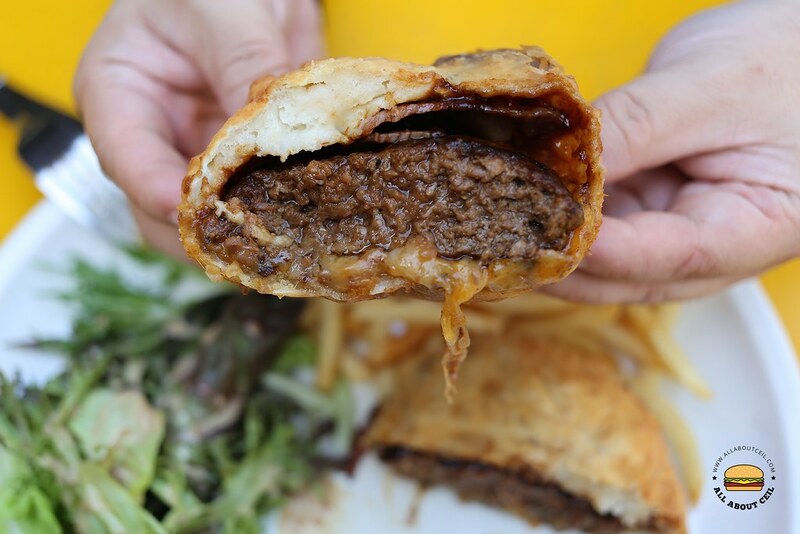 In fact, it is more like a pastry that consists of a thick patty with bacon strips and cheddar cheese with BBQ sauce. Though gimmicky, it was nicer than expected. 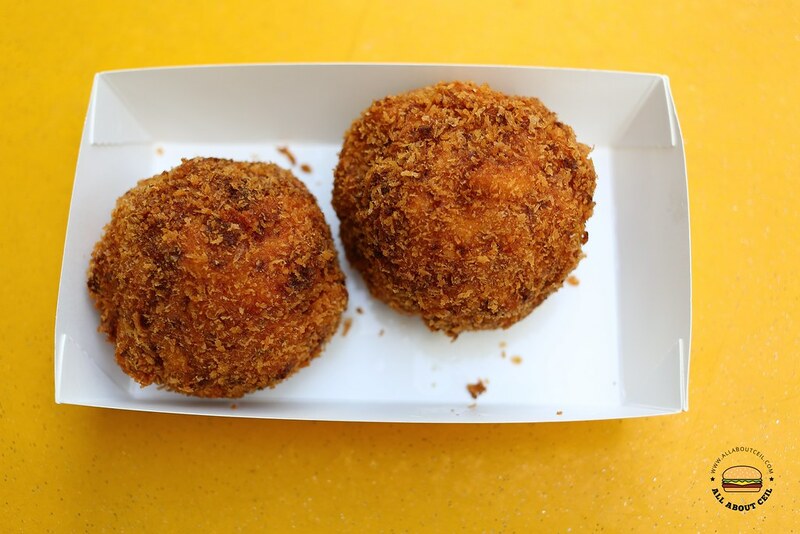 The Fried Mac & Cheese ($4.00) came in 2 pieces, nicely breaded then deep-fried in the shape of a ball that closely resembled the usual fried mashed potato ball. When collected and walked past the drink stall, the friendly uncle asked, "How much is it?" I said, "$4.00 for 2" and he replied, "That's quite cheap as they are quite big." My dining companion commented that it was a bit too saltish and it did not have much cheese flavor though it seemed there was quite a generous bit of cheese in it. While eating, my dining companion asked, "It stated on their signboard that the stall is established by two pui puis (fat people) but the 2 guys at the stall are not fat enough to be called pui pui." And, I could not help but laugh out loud. 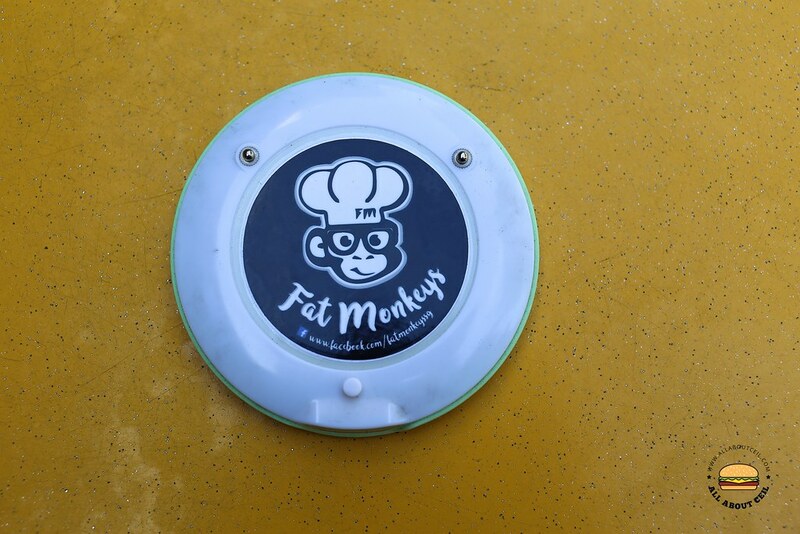 Overall, the food was not too bad but the service could be friendlier though.